When you’re looking to pitch your services to brands, timing is everything. If you wait until the review is announced, you’re too late. Lucky for you, Winmo is doing the hard work for you and tracking all the latest CMO shifts so you can stay a step ahead of competitors. In order to guide you to the most pitch-worthy accounts, we factor in a range of activities. Changes in the CMO position serves as the number one indicator of agency changes, media spending shifts, and new martech investments. Reported March 7, Netflix is losing Chief Marketing Officer Kelly Bennett. Under his leadership, Netflix expanded to 139 million customers with a market value of $155 billion. Bennett led Netflix from its stage of existing as a relatively small streaming service to one of the world’s largest studios. At this time, no replacement has been named and Netflix continues to shake up its marketing department. Earlier this month, the company made the move to dissolve its entire global brand marketing team, a relatively small department that formed in 2017. Several new competitors are rising in the streaming world, especially since Disney’s acquisition of Fox and Apple’s venture in the market. Netflix typically focuses on millennial and Gen-Z audience through its content. With all of the marketing shifts, agency and martech readers are advised to reach out in order to stay top of mind when a new CMO is named. Competitors will include Deustch as creative AOR since 2013 and MullenLowe Mediahub as global media AOR since around 2016. These relationships are approaching average agency tenure of 3-4 years, and Netflix also handles a portion of its media buys and creative in-house. Netflix makes the newsreel again due to the fact that their previous VP Stephen Bruno was recently named MGM Picture’s new CMO, effective March. In his former role at Netflix, Bruno oversaw global campaigns for series such as Stranger Things, The Crown, Bird Box, Mudbound, and To All the Boys I’ve Loved Before. Anyways, back to MGM. They also hired David Wisnia as EVP and Head of Global Networks. With no top spending period, sellers should stay alert for year-round revenue, especially surrounding upcoming movies. Target demographic varies based on the film, so sellers with a wide reach will have an advantage. Typical channels of investment consist of broadcast, digital, radio and social. According to iSpot, YTD national TV spend totaled $15.5 million and targets younger, sports-oriented audiences. Total 2018 spend was reported at $47.9 million. As you’re well aware, Bruno’s recent hire signals potential for agency reviews, so agency and martech readers are encouraged to reach out for opportunities. After former marketing lead EVP Aliza Licht departed in March, A+O is in search of a CMO to lead the retail and e-Commerce businesses as well as brand, digital and DTC marketing. New hires over the past year include CRM and Digital Marketing Director Renee Nicholson in July and Social Media Strategy Director Sophie Carrel in January. With no top spending period yet established, sellers are encouraged to reach out year round. However, keep in mind spend does spike ahead of product launches and seasonal fashion shows. A+O traditionally invests in influencer, digital and social media with a female target audience. According to sources, the company spent about $1.1 million measured US media in 2017. With new leadership on the horizon, reviews are likely within 12-15 months. Agency and martech readers are encouraged to reach out sooner rather than later in order to stay ahead of the competition. Allyson Witherspoon is taking over as VP of Marketing Communications & Media (brand CMO function) as Nissan’s replacement for Jeremey Tucker, who is pursuing other opportunities. Witherspoon will begin after she moves back to the US, as she currently works as Nissan Japan’s General Manager of Global Brand Engagement. This shift follows the departure of chairman Carlos Ghosn, who was let go in January due to financial misconduct, who they are still attempting to find a replacement for. These personnel changes will work to combat sales declines and implement “MOVE to 2022”, a six-year plan to grow global revenue by 30% and invest in advanced technologies. In order to meet these goals, Nissan will have to appeal to a millennial and Gen-Z audience, which explains the increase in spend toward digital and social channels. Nissan has also established new partnerships with eSports teams OpTic Gaming and FaZe Clan, with a historically wide variety of sports sponsorships and local activations. Under Witherspoon, agency reviews are likely. When reaching out, keep pitches focused on the most effective ways to implement their new marketing strategies and ways to differentiate Nissan from competition such as Ford, Honda, and Toyota. 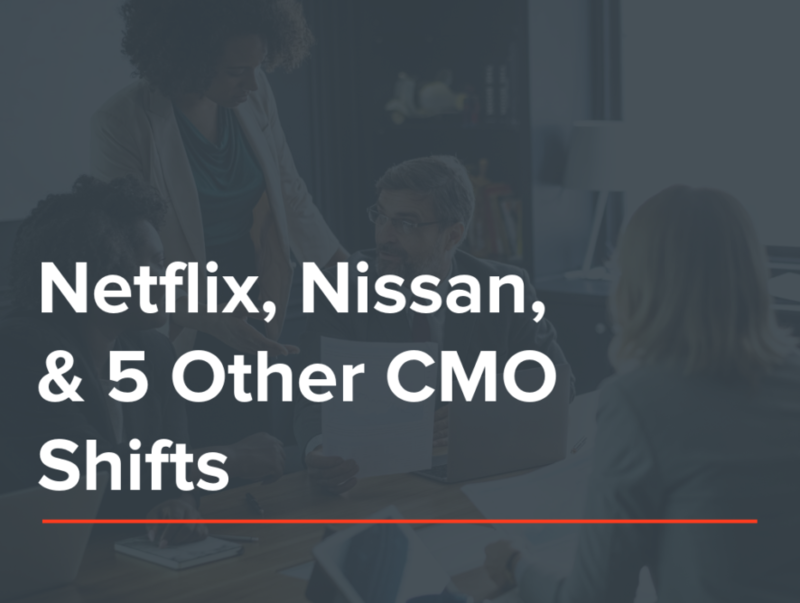 Expect competition from Omnicom’s “Nissan United”, which is made up of TBWA ChiatDay and Zimmerman for creative, OMD for media, and fluent360 in the multicultural realm. Sellers, remember Nissan is attempting to engage a younger crowd using strategic partnerships and an increase in digital and social investments, so those who can assist in those efforts are more likely to win business. Planning period is typically Q2, but keep an eye out for new product launches as well. According to The New York Times, Deputy was recently named the next $1 billion unicorn. They are on the path to success and recently hired Jennifer Shambroom as their first CMO. Her previous experience includes CMO at YouAppi, and additional time at companies such as Crittercism, Payfone, and Motricity. The startup has not yet named a top spending period, so sellers with a B2B background should reach out year-round to secure revenue. The target demographic consists of decision-makers, specifically those at small businesses. According to Adbeat, Deputy has spent $18,800 on digital display within the past 12 months compared to $8,500 the prior year. With a new CMO taking over, agency reviews are likely to take place within 9-12 months. Agency and martech readers are encouraged to reach out soon in order to stay on Shambroom’s radar. Since Deputy is an emerging company, they will likely seek PR work for the purpose of fueling brand awareness first.